British Summer Time has now become a staple of the summer in London. 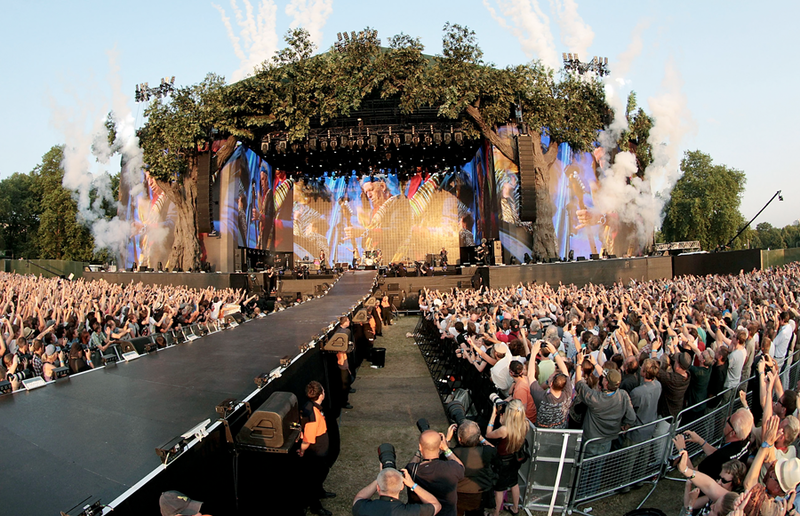 Hyde Park is taken over by the festival, which has seen Taylor Swift, Take That and Kylie all headline. Whilst Carole King and Florence and the Machine have already impressed this year, it’s not too late to get a piece of the action – and totally free. The festival is hosting its annual Open House – a host of weekday activities in between the weekends of musical line-ups. On offer will be free open-air movie nights and tennis screenings, Street Food stalls, daytime DJs, live music and entertainment, free badminton sessions, ping pong and much more. Catch all the Tennis action from SW19 live from midday onwards on one of the biggest outdoor screens in London! Ping! is the free street ping pong festival which sees table tennis tables popping up in remarkable and surprising places nationwide. The ping pong extravaganza is just too tempting to resist; to join in the fun, simply grab a bat from the side of the table and play – absolutely free of charge! Pick Up a Racket and Get Your Shuttle Moving! Whether you’re a recreational badminton enthusiast or a leisure loving creature enjoying the British Summer Time park picnics, Pimm’s and sunshine – put your family and friends through the paces, adding some fun to your summer’s day! Fit For Sport, the UK’s experts in engaging children and families through activity, will be hosting a range of multi-sports and fun games after school at BST Hyde Park. Join us for plenty of active fun and take part in the activity challenge to find out if you are a bronze, silver or gold champion. All you need to do is drop in! The activities will be located just behind the tennis screenings. Want to try something really different? Climb a 30 feet ladder for your first flying trapeze lesson with Gorilla Circus Flying Trapeze School, the only outdoor flying trapeze school in the UK! Jump from a 30 feet high platform and perform tricks as seen in a Big Top circus on a full sized flying trapeze rig. Not only that but the activity is an excellent all round body workout and can increase both mental and physical agility! Enjoy the sun at BST Summer Time with a great selection of food and drink on offer, plus soak up the family friendly atmosphere.